Fun and catchy, pop rock beats that give you a good sugar rush. From start to finish, this is one solid indie pop rock album. Okay, I admit, I immediately assumed that The Gasoline Brothers was an American band when I first heard Psychosomatic Heart Failure, but upon closer inspection, I realized that it said Netherlands! My apologies for assuming. Tsk! is one awesome album from start to finish. It’s full of fun, pop, upbeat , alternative rock tracks that will get you bobbing at least one part of your body at some point. However, despite the obvious similarities in album titles, the two releases are quite different from each other. Where the first album focused more on the altrock/country sound, this second album echoes a more poppy sound. Tsk! is filled with upbeat tracks and “carefully layered harmonies.” Recorded and mixed in just 6 days, The Gasoline Brothers are truly proud of this album. Tsk! came out in October of 2009, breaking the two year silence of the band. The Gasoline Brothers include Roel Jorna doing the vocals/guitar/keys; Mathijs Peeters playing guitar/vocals; André Wierenga on bass/keys/vocals and Léon Geuyen tackling drums/vocals. And yes, they are imports from Utrecht, Netherlands not from the Americas. This is one great album to listen to if you want to satisfy your love for indie pop alternative beats. You can’t go wrong with this one. 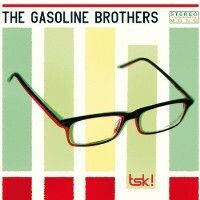 Creative Commonscreative commons albumcreative commons musicHm!indie pop musicNetherlandsThe Gasoline BrothersTsk!